Posted November 25, 2015 by Tom Gilmore, The Tuam Herald in News. 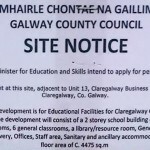 One of the biggest educational projects announced for Co Galway last week, the €2.75m new primary school in Lackagh, should be ready to go to tender “in a matter of weeks” according to principal Michael Lydon. 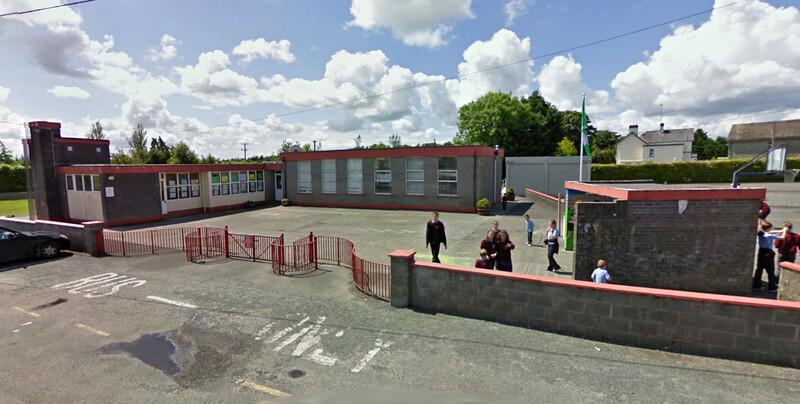 Lackagh National School in 2009 via Google Maps. 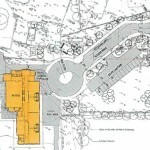 Since then there have been several pre-fabs added to the site. “We got a letter on Monday asking us to get tenders in as soon as possible. While the tendering process may take three to four months to complete, we are confident of work starting next summer,” says Michael. But even during the building of the new school the present pupils and staff can continue to work in the existing and expansive site. “We are indebted to the Church for providing the site and it is brilliant that while the contractors are on site we will be able to work away as normal in the present school and pre-fabs,” says Michael. 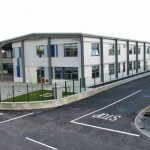 During the past decade he has watched the number of pupils grow dramatically to its current enrolment of over 220 but in tandem with this growth in pupil numbers, the number of pre-fabs has increased. 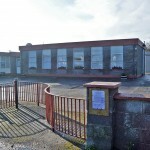 “While the present structures have served us well it will be great to move into a new two storey school with general purpose and ancillary rooms as well as plenty of playing pitches in this area of Lackagh, which is constantly growing,” he added. The principal thanked the parents and staff as well as the children who have managed in the cramped conditions until the current announcement of a complete new school campus. 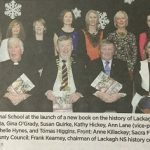 A book is currently being written about the expansion of education, along with the expansion of the population in Lackagh over the past decade. This book, marking the 50th anniversary of the current school, will also be a social commentary on the area and a committee are meeting weekly to get the book ready for publication in 2016.